1. Heat 1/4 cup olive oil and sauté the onions (if using) over medium heat until they are soft and translucent. Add the rice and continue to stir until the rice changes color (it becomes more white, don’t let the rice brown! ), cover the pot, turn the heat to low and cook for 5 minutes. 2. Stir in the water, 1 cup water, dill, mint salt and pepper, simmer 5 minutes then allow to cool. 3. Line the bottom of a heavy pan with a lid with extra grape leaves (and lemon rings, if desired). 4. To stuff leaves, rinse each well and lay them out in rows and columns. The shiny side of the leaf should be down, the stem side should be facing up toward you. Place one tablespoon of filling in the center of each grape leaf, first folding in the sides, then rolling from the bottom. Be sure to roll each leaf loosely as the rice will expand as it cooks. 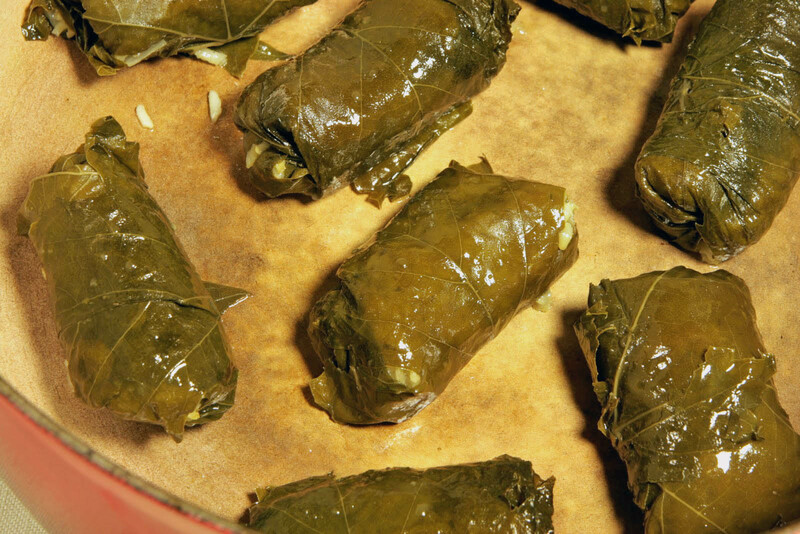 Let us know what you think of this easy vegan recipe: Grape Leaves! great classic recipe! 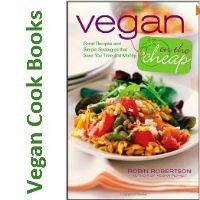 try it with a few tablespoons of dried currants or golden raisins too – yummy!